Italian law dictates that official Catholic wedding ceremonies cannot be performed outdoors but only in a Catholic Church. Italy has the most beautiful churches in the world ideal for any size, style and feeling. 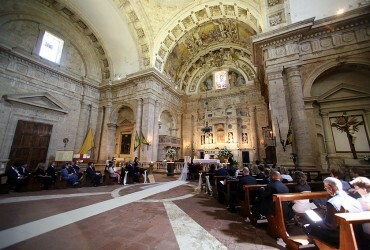 A Catholic wedding requires specific paperwork to be provided before getting the authorization to get married in Italy. Civilly married couple may celebrate a symbolic ceremony officiated by a Catholic priest anywhere they like! 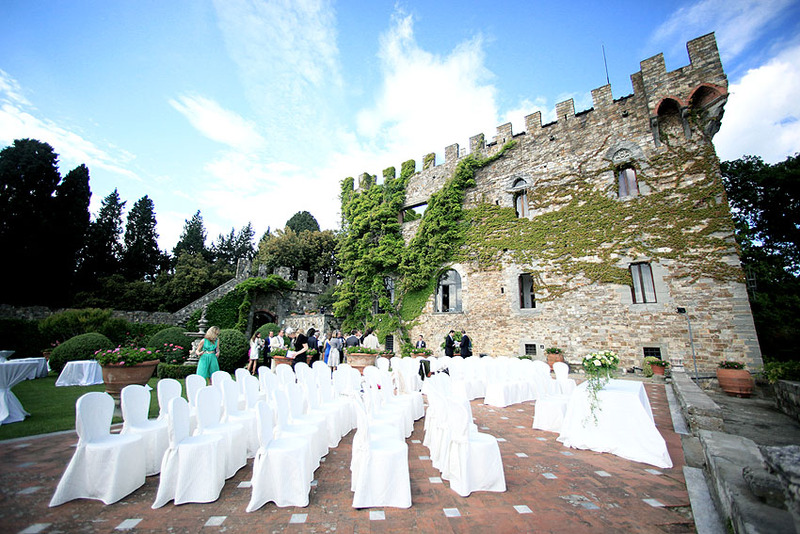 Wedding With A View can and will orchestrate a spectacular ceremony for you at any of our luxurious castles, manors and villas in all of Italy. 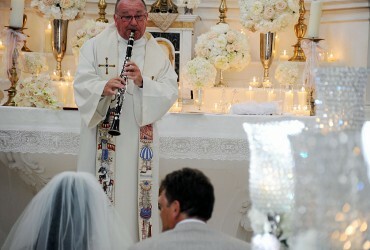 If you wish a Catholic Ceremony can be combined with a civil binding ceremony. In this case all civil documents and procedures must be followed and prepared. 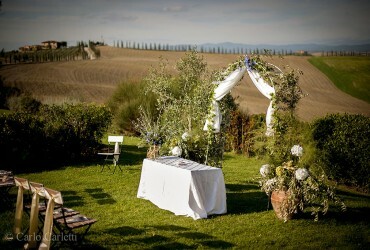 Wedding with a View can arrange Protestant weddings with Anglican, English-speaking priests in the Italian location of your choosing. Although no restrictions apply to blessings and symbolic ceremonies for couples who have already been married civilly in Italy or in their home country, there are some legal conditions for Protestant ceremonies conducted outside of large cities in Catholic chapels. For Protestant weddings to be legally binding in your country legal paperwork should be arranged together with the religious documentation required. Protestant weddings can be performed everywhere in Italy including outdoor gardens, Villas, castles or farmhouses. 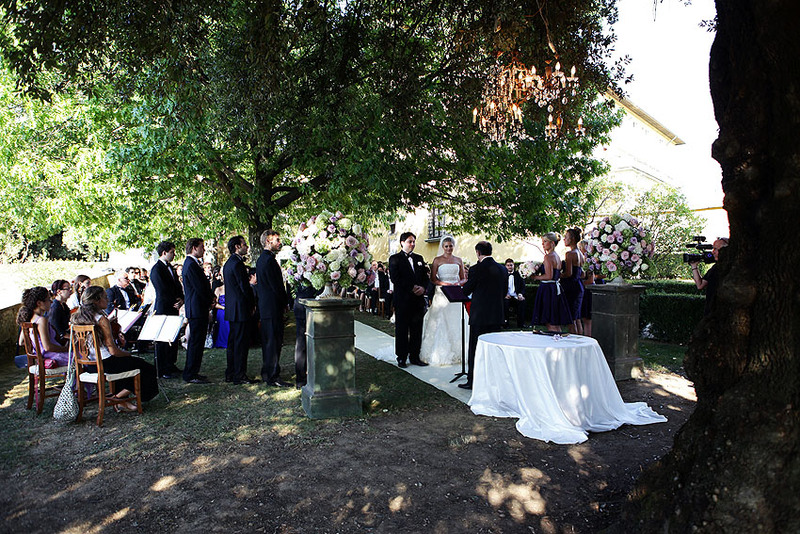 For couples who want to be legally married in Italy but who prefer to celebrate the union in a religious ceremony in the location of their choice, we are happy to offer the possibility of a combined Anglican and Civil wedding ceremony. Wedding With a View is experienced in organizing both traditional and secular Jewish wedding ceremonies. Whether you dream of exchanging vows under the chuppah in one of Italy’s many stunningly beautiful historic synagogues, or enjoying a peaceful ceremony in a less conventional setting, Wedding With a View has the resources and the know-how to make your special day nothing short of perfect. A Symbolic Wedding consists of a blessing or a symbolic ceremony. 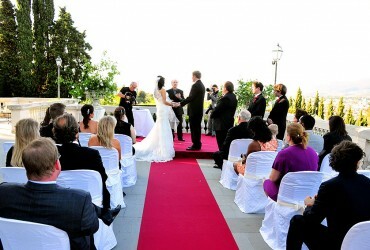 Wedding with a View can organize any kind of symbolic ceremony or blessing for already legally married couples. These ceremonies, usually the couples who choose this type of ceremony have had a civil ceremony in their home country or are first-times and recommitments, can be held in religious chapels as well as any of our elegant Renaissance-era villas, medieval castles, stunning Italian gardens, parks or just about any other location you can think of!